Becoming an Amazon seller can change your life. By documenting our journey, we hope you find the inspiration to start your own online business. An Amazon FBA business can provide the ultimate passive income lifestyle, if you are willing to put in the work. My name is Nick, four years ago I felt lost, stuck in a job i didn’t like. Everyone around me seemed to have things figured out. All i knew was that i wanted my own business, i didn’t want to work for anybody else. The problem was i didn’t have a clue where to start. I’d get home from work and get straight on the laptop, spending hours researching different money making ideas. I started discussing the idea with two good friends of mine, Sam and Ed (i’m the short one in the middle). We got together and started brainstorming..
We loved the idea of our own online business, we just needed to decide what. After a few weeks of research and meetings we’d come up with our first business idea. We wanted to create an online business directory for tradesman! Each of us took different areas of responsibility and we went away to research. I’d always loved the idea of owning an online business, I was so excited! A few weeks later we were ready to start building out our very first website. For six months, we’d spend every spare minute working on the site and despite this it felt like we were making next to no progress. A year into the project we started to realize that the site wasn’t going to work. I felt like I’d wasted my time, I was angry and fed up! At this point I was very close to giving it all up, i felt so frustrated! I think we all felt like this! After a few weeks, I managed to get over myself and i decided, there and then, whatever happened, I wasn’t going to give up. I believe that as an entrepreneur, you can be defined by how you deal with problems. If something doesn’t go right the first time, you’ve got to brush yourself off and try again. A few days in and the entrepreneurial excitement was back! After researching online we’d found a lot of information about setting up a online Amazon business. The idea of selling physical products really excited me, there were A LOT of sellers making millions on Amazon, it was big business. We started learning everything we could about Amazon FBA. After hours of sleepless nights and further research, we decided to starting setting up our business. We each decided to invest £500 so in total we had £1500. We decided to use the Amazon FBA business model. If you are serious about becoming an amazon seller, this business model might be for you. It can provide the ultimate passive income lifestyle, with the right systems in place you can work from anywhere in the world. After careful research, we found a supplier and ordered 500 units of our first product. We began working in the background whilst the product was being made in the far east. It should be noted that at this point we all had full time jobs, this meant working in the evenings and at the weekends. This of course, did not bother us in the slightest, we wanted this to work! Things started to progress and within a few months we were making up to £1000 a week in gross sales. Fast forward nine months and in one month we’d totaled £40,000 in sales on Amazon alone. As mentioned, we started this business from an initial investment of around £1500 and its still going strong today. In June 2017 we all quit our jobs. WARNING: Learning how to become an Amazon seller can change your life in a big way, if done correctly, you may experience serious feelings of contentment, happiness & joy. We decided to set up this blog to document the journey as an Amazon FBA seller. Over time we are using a lot of different tools within our Amazon business, this puts us in a pretty good position to evaluate the ones that work, and the ones that don’t. You don’t have to use any paid tools to run an Amazon FBA business, but the right ones can save you A LOT of time. We want to fill this blog with useful how to articles and videos, once we learn something new we add it to our “to do list” (actually it’s a slack channel). When we write about a particular tool or piece of software we like to explain how we use it within our business. If you have a question or want our opinion on any tool or software, we are happy to help. Just send us a message or leave a comment on a blog post, we will get back to you right away. 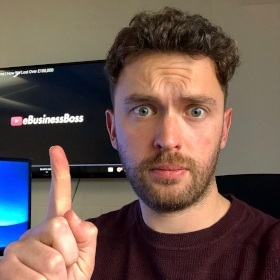 Anyway, the following video gives you a little more information on my background, if you are interested in building your own online business you should subscribe to the ebusiness boss youtube channel. Working from anywhere in the world has its perks. Can you imagine being able to pack a bag and fly off to a new destination whenever you see fit? There would be no requirement to ask permission. I used to dread asking my boss for time off, even when he said “Yes” I’d feel like he was in control of my life. I’m not knocking everyone that works for someone else, it works for some people, but just not for me. I enjoy nothing more than spending time with my friends and family. I have learnt that selling products online is a high-risk business, and over the past two years we’ve come up against many challenges and difficulties. Becoming an Amazon seller provides you with a first class introduction into the world of e commerce, however it isn’t always easy. If you don’t have the experience, you can come up against serious issues. If you are having products made in the far east you must ensure you are dealing with trustworthy suppliers. Without carrying out full product research, a £3000 investment can become worthless should it turn out to have a trademark or patent issue. Trust me, we found out the hard way (Video about this on the YouTube channel). Again, we didn’t let these problems put us off. We dealt with the issues and made sure we learnt from our mistakes. Building a six-figure online business, taught me the most valuable lesson of all, DIVERSIFICATION. Its important to not rely on one source of income. With that being said, we all have to start somewhere… Rome wasn’t built in a day! Making money online is addictive and we wanted to learn more about the different ways it could be done. We did not want to rely on one source of income for our business. We all decided to start investigating other money making ideas. I’d always been interested in building websites but with my previous experiences, I was put off. With patience and further research, I quickly realised that it wasn’t as difficult as I’d initially thought. By using free training programs, I managed to teach myself how to build websites within a matter of weeks and I was hooked. I started learning more about affiliate marketing and the different online income programs people were using. There are hundreds of ways to make money online and I’ve made it my mission to review the tools and programs that have helped me along the way. Building websites is actually fairly simple once you get going. You choose a niche, develop a website that provides value, then monetize it in order to generate a monthly income. Your website needs a mix of quality content and the correct SEO (search engine optimisation). Once you get your site ranking, the traffic and sales will come. When you have a track record of the site making money each month, it becomes more valuable. To give you a rough idea, should you build an affiliate site that averages $3,000 a month, you could look to sell this site for anywhere between 24x – 30x this figure. $80,000 doesn’t sound too bad at all now does it. Once your site is running you are truly experiencing passive income. We want to teach you everything we are learning along the way, so you can create your own passive income lifestyle. Through the eBusiness Boss blog, we will post useful content to show you how we’ve built our online businesses. Running an online business provides freedom like nothing else. There are so many different ways for you to make money online trust me it’s easy to get lost. We’ve used plenty of different tools and programs over the years, some have been great, some, not so great. By sharing our experiences, we hope to help you build your own online business. We are all different, we understand what has worked for us, may not work for you. Finding the right software and online training tools can make all the difference in your business. eBusiness Boss has been set up to provide you with all the information you need, so that one day you can be your own boss. The sky is the limit, so how are you going to do it? We want to provide you with passive income ideas, so you can start experiencing the sort of freedom we have. What will eBusiness Boss cover? As we’ve already mentioned, the aim of this website is to help you make money online. I have a thing for passive income ideas, any business that can earn you money whilst you sleep works for me. Passive income allows you to work on your own schedule and that’s what got me addicted to making money online. I didn’t want to live my life with any regrets and I certainly didn’t want to look back on my life and think I’d spent the majority of my life working just to live. By sharing our experience, i hope to teach you how to build your own online business. Whether you are interested in becoming an Amazon seller or you want to start building websites, we hope our content is going to help you realize that dream. Learning how to build websites properly is a real skill, if you are interested in learning the ropes, I recommend using affilorama’s free training. You can literally teach yourself how to build sites from the ground up. Once you get stuck in, you’d be amazed at how easy it is. Personally, I am not interested in get rich quick schemes. I am a true believer in learning skills that allow you to build a business for the long term. Sure, I could teach you how to make money online quickly but what would it be worth if within a month it was all over. It’s important to focus your time and energy on building long-term businesses. So you want to learn more about building websites? Well I started out using affiloramas free online training, I invite you to sign up, its really useful and as mentioned it’s free. The program includes 100’s of free tutorial videos, by following the programme you can learn to create your own website from scratch. Sure, affilorama will try to upsell you their premium products but the free training is enough to get you started. I’m sure the premium products do provide real value, I mean, if the free training is good, the paid products should be awesome. But that’s up to you, I started out with the free training. List building and affiliate marketing are two of my favourite methods for generating passive income. You must be prepared to learn and put the time in and that’s about it. As with any of these methods, you have to be willing to follow advice. List building is an excellent way to build up your own audience. If you have found a niche that interests you, brilliant, build a list! When I refer to list building I am talking about emails, the more emails on your list, the better. Again, you don’t want to trick people into signing up to your list, you want to provide real value for free. When you do this, people take note, they think of you as a useful resource and therefore they will want to receive emails from you. If you are interested in this method, you should be aware of the GDPR regulations coming into effect from 25th May 2018. Before getting serious about building an online business, we recommend taking professional advice to ensure your business is fully GDPR compliant. As you will know the laws around data protection are becoming firmer. If your business is found to be non-compliant, you will face a fine of €20,000,000 or 4% of your annual turnover, whichever is greater. With the list building method, there are ready made programs out there so you can start making money quickly. CB passive income was created by a guy called Patric Chan. I haven’t tested this method myself but it claims to be an excellent system if you learn how to use it. CB passive income is described as a ready-made money-making system, all you need to do is provide traffic, if you build a list you can do this as and when you want. As stated I haven’t carried out a full CB passive income review, you will need to investigate this for yourself. Affiliate marketing is a superb way of generating passive income online. There are many different forms of affiliate marketing but they all have the same concept. Sounds simple doesn’t it, you must be thinking, “What’s the catch?” well, if you do things properly, there isn’t one. Once you understand the concept it is as fantastic as it sounds. I suppose the real catch is, you must be willing to put in the time and effort to learn the best ways to promote these products. As mentioned, I got started by using Affilorama’s free training, when it comes to affiliate marketing, affilorama knows what they’re doing. I have written a full affilorama review so you can see the value it offers. As it stands, Amazon is the most powerful shopping platform in the world. The way people shop is changing, with busy schedules a lot of people rely on the internet to get the items they need. Its likely that you do a lot of your shopping online. Becoming an Amazon seller can be life changing. If you want to learn how to sell physical products to the masses, Amazon is your best bet. As an established Amazon seller, we have multiple accounts specialising in different areas. We are going to show you the tools and programs we use to manage and grow our businesses. From product selection to running pay per click adverts, we want to cover all bases. 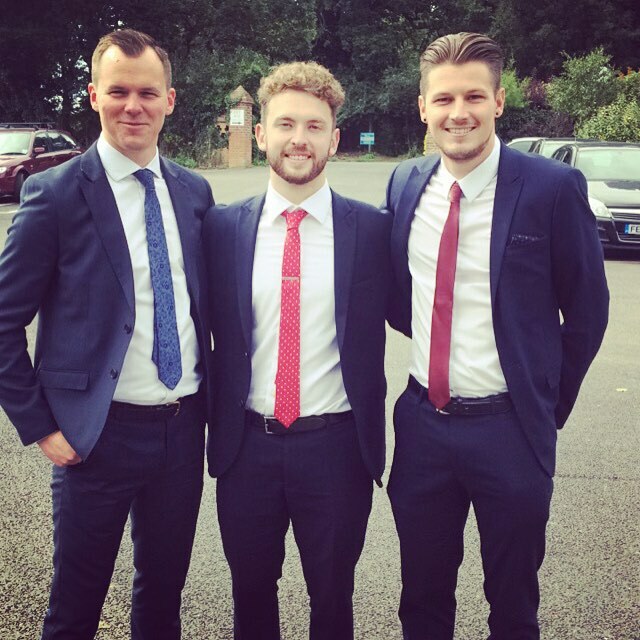 If I told you that with £1500 and the right advice you too could build a six-figure business in under a year, would you believe me? Well that’s exactly what we did and the business is continuing to grow. I can’t promise I’ll be able to teach you how to become rich fast, but I can promise that if you are willing to put in the time and effort you can learn how to build your own online business. Who knows… we are all different. Whatever the reason, we all share one common goal… we all want the financial freedom to do what we want, when we want. Live life on your terms, not somebody else’s. I hope you have enjoyed hearing a little bit about us there will be more useful content coming your way soon.